People with incredible superpowers are usually only seen in comic books or movies but have you ever thought about the possibility that superheroes actually exist in real life? Well, there are people out there who actually have some unbelievably awesome abilities. Even though they don't wear costumes, most of them have cool nicknames which stem from their superpower and the things they can do are simply insane. Here are 5 humans with superpowers that will completely blow your mind. When he was growing up in France, Michel Lotito was diagnosed with a rare condition called Pica. This condition gave him a strong appetite and he started to eat objects and items that weren't food. He started eating metal, rocks, plastic and drank oil with every meal. He became known as 'Mr. Eats All' and even managed to eat a whole airplane. It took him two years to eat the entire plane, and his supernatural ability to consume such objects and survive is related to an incredibly thick lining of his stomach. 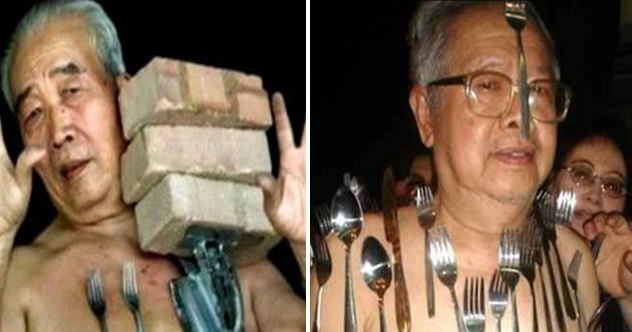 Liew Thow Lin is famous for an unnatural ability to attach items made of metal to his body, which earned him the nickname 'Magnetic Man.' Liew can attach approximately 80 pounds of metal to his skin, and can even pull cars with his unusual superpower. What makes him different from Marvel's Magneto is the fact that Malaysian scientists concluded that his skin generates a suction effect which is able to keep the metal on his body. Liew's ability is not related to magnetism, but it is genetic. Liew's ability was allegedly passed on to his three grandkids. Raj Mohan Nair's superpower was the result of a quite tragic story. Namely, Raj tried to take his own life when he was a child. He grabbed a live wire, but instead of dying instantly, he was given a second chance. Raj believes that his uncanny ability to survive strong electric shocks was given to him by God. While his body can take as much as 10 amps of current, an average human can be killed with only a tenth. 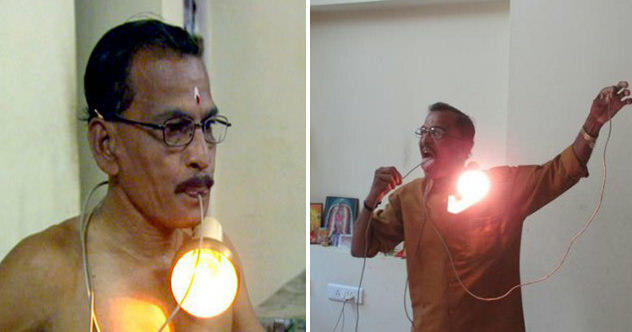 When all that current passes through Raj's body, he is able to direct it through his tongue and power things like light bulbs. He once powered a blender in the same manner, which would have killed an average human instantly.